See the beauty of the desert as you take in the vast splendour of Lake Amadeus, whilst looking for camels roaming where the salt lake meets the sand. Then fly to the majestic Uluru and Kata Tjuta, realising their powerful presence amongst the ancient sand dunes covering our red centre. Your bird’s eye view will allow you to fully appreciate the enormity of these 500 million year old vast rock formations. 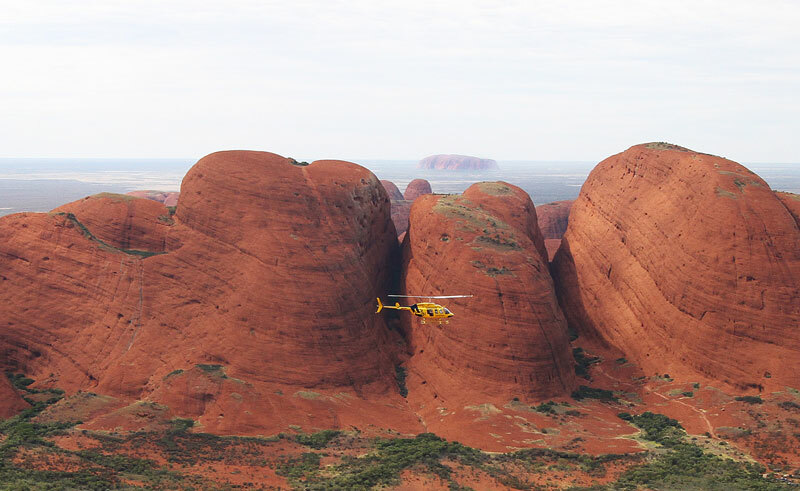 Admire the ever changing colours of the rocks from above, search for native wildlife and gain an understanding of the significance of these sacred sites from your pilot’s ongoing commentary.